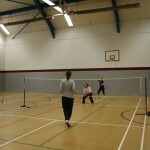 The main season runs from September to March and we play on Mondays and Thursdays, 8-10pm. 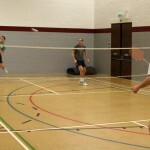 Monday night is exclusively a club night for with three or four courts available depending on the number of players. 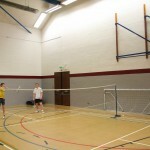 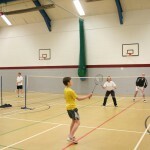 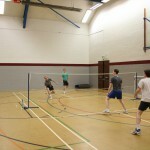 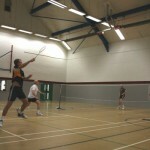 We play our home fixtures on Thursdays, and when there are no fixtures we have two courts available for social matches. 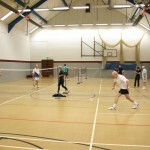 The summer club runs from April to August and we play most Mondays at 8pm. 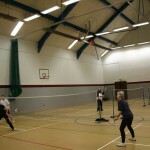 We play at the leisure centre at Sir William Romney’s School in Tetbury in a modern sports hall with four courts. 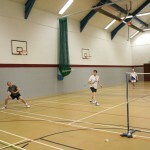 The address is Lowfield Rd, Tetbury, Gloucestershire GL8 8AE.